Read our helpful guide to second hand Alfa Romeo 147. AA Cars works closely with thousands of UK used car dealers to bring you one of the largest selections of Alfa Romeo 147 cars on the market. You can also browse Alfa Romeo dealers to find a second hand car close to you today. 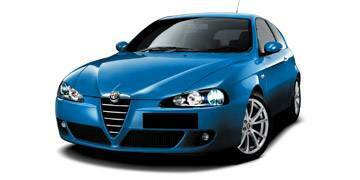 All used Alfa Romeo 147 on the AA Cars website come with free 12 months breakdown cover. A svelte, stylish sports hatchback, the 147 is, like much of the Alfa Romeo range, a highly desirable car with serious swagger. In 2001, before it was even released in the UK, it was named the European Car of the Year, while another 26 award committees saw fit to bestow the 147 with their wares. While this could be attributed to the fact that anything with an Alfa badge is sure to get auto enthusiasts hot under the collar, the 147 has serious talent, and boasts a comfortable cabin, excellent handling (although a stiff ride), meaty engines and an attractive price tag. Having now been replaced by the Giulietta, the 147 is a quality, affordable used option.